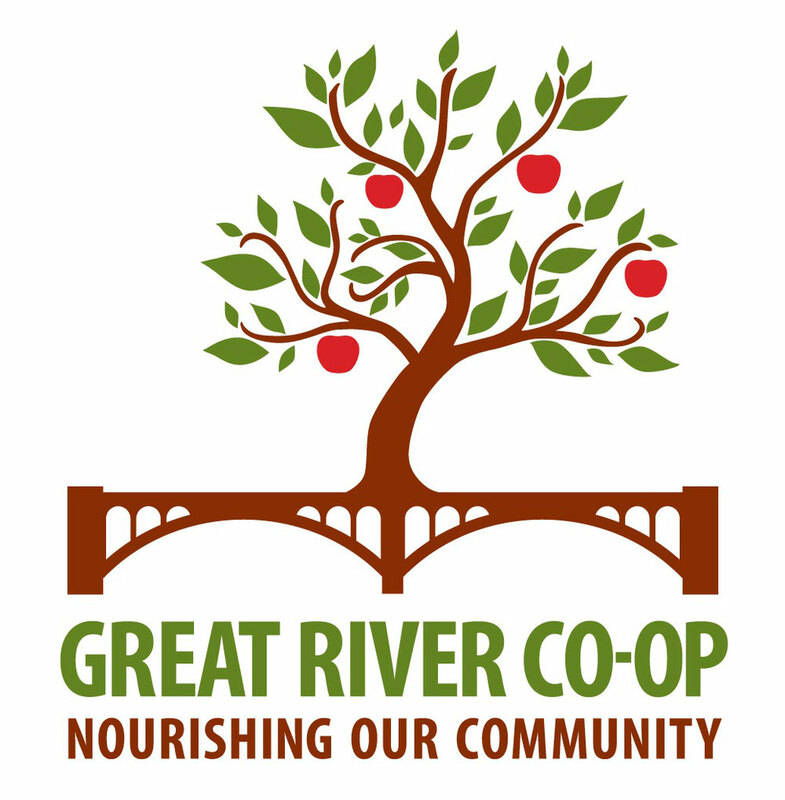 The Great River Co-op is a startup cooperative grocery store in the development stages that will be coming to Walpole, New Hampshire. Bensonwood, and the Monadnock Economic Development Corporation have joined us as partners to build and open the store. But your fellow member-owners need you to help. Click here to see the three ways you can take part. Help plant the seeds. Be part of something GREAT! It's official! 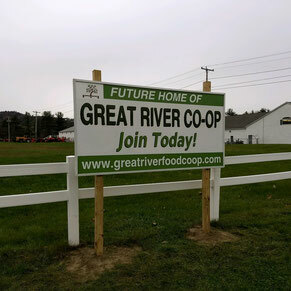 Our sign is up in our future location, on Route 12, next to The Hungry Diner in Walpole! From Left to Right: Steve Fortier, Kim Mastrianni, Tedd Benson, Christine Benson, Gretchen Markiewicz, Bruce Bickford, Ali Trow, Judy Trow & Sean Fortier. Help make it happen! Join, purchase additional shares, learn how to volunteer. 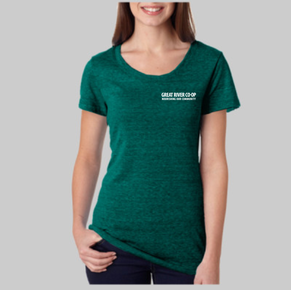 Support the Co-op by ordering a t-shirt or Tote bag printed locally by Beeze Tees in Keene, New Hampshire! 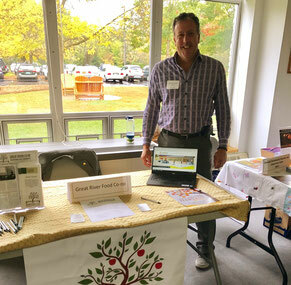 Catch up on our latest blog posts sharing news about your store, upcoming events, member drives and more!